In today’s tough economic times, where every person is being evaluated by a number (Credit Score), having a good Credit Score is an essential to enjoy an appropriate standard of living. You need to have a good credit just to rent an apartment, rent a car, open a bank account, get insurance, get a job, buy a car or obtain a home mortgage. Depending on your Credit you will be denied, will be offered a good rate, or will be offered with higher than normal rate/down payment, etc. Like most cases in finance, those with the lowest risks get to pay the lowest rates. To mortgage lenders, your credit score represents your likelihood of making on-time mortgage payments for the next couple of years. Therefore, it is very important to have a good/excellent credit history and credit score. You also need to know what is in your credit reports and what your credit score is. Two years ago in July while I was mowing my backyard grasses, I broke a sprinkler head. I went to Home Depot and got a head (total including Tax $3.44) with my Home Depot Credit Card and came home and replaced the head. About two months later I got a letter from a Collection Agency that I owe $4.44 to Home Depot $3.44 + $1 late fee). I called them and told them that I never got any bills, they told me they have sent the bill via email. I told them again that I had not seen any emails about statement and I always get my bills in paper. They told me they understand the situation, they will give me $1 late fee credit and I just go and pay the original amount ($3.44) which I did the same day. I was shopping for a new car in the November and when I applied for the loan, they told me the rate is 10.95%. That was very surprising to me because based on my previous credit score of 768, I was checking the rate to be around 4.95%. I told the manager and they told me my credit score is now 688. Checking my credit report, I found out one negative item of $1 late fee for 30 days form Home Depot in my report. That 30-day late fee has dropped my score about 80 points and caused my interest rate jumps from 4.95% to 10.95%. You can imagine how much I was upset, I came home calling Home Depot, which they transferred me to CITIBank who is issuing their credit card, I explained the problem again that I never received the bill to pay and requested to correct the problem specially I am in the process of buying a car and this late fee is costing me a lot of money. Their response was they have sent the statement via email and I have not gotten it or had gone to Spam folder is not their problem and I was technically late for 1 month and it is the against the law to correct it. !!!! I was very upset again and wrote a letter to the Chairman and CEO of the Home Depot, Mr. Frank Blake, requesting to look into this problem and order to resolve this issue. After 6 weeks I got a response back from his office asking CITIBank Credit Card Manager to look at my case. Two weeks later I got responses back from CITIBank Credit Card Manager repeating the same non-sense as before and did not do anything to resolve this issue. The Monthly payment for the loan amount of $25,000 for 5 years (60 payments) were $542.94 and $471.21 with interest rates of 10.95% and 4.95% respectively. This is an additional $4,300 payment for the 5 years life of the loan. à $1 late fee for 30 days cost me additional $4,300 for buying a car of $25,000. Can you imagine if I was buying a house what would had happened just buy paying 1% interest rate higher? The monthly payment (Principal + Interest) of a $250,000 loan with 30-year fixed rate of 3.5% and 4.5% would be $1266.71 and 1122.61, respectively. 1% increase in the interest rate in this example will cost the borrower an additional $51,876 in his/her 30-year loan term. · It is very important to have a good/excellent credit history and credit score. 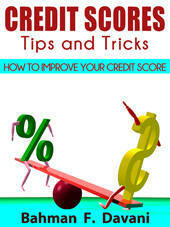 · It is also very important to know what is in your credit reports and what your credit score is. · It is unbelievable that Home Depot and its’ issuing Credit Card CITIBank sends $3.44 to collection agency after only 30 days and creates all these problems and extra cost for a customer, especially when the customer has never received the bill. · Some creditors will abuse their power to ruin somebody’s life by ignoring the facts. Don’t give them that chance. List of Do’s and Don’ts after being approved for a mortgage loan.
. Copyright 2011-2014 Texas Five Star Realty Web Site Developed by .